I visited Rhapsody Falls this past February. Located just outside of Asheville, North Carolina. 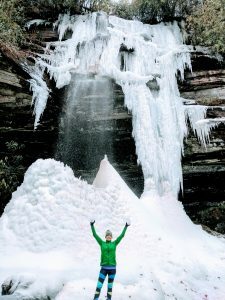 I visited this magical winter wonderland in February where North Carolina was in the Great Southern Deep Freeze where temps did not get over 13 degrees for two weeks straight. This is not your average hike, we had spikes on our boots. We expected to see massive icicles but were blown away when we arrived. 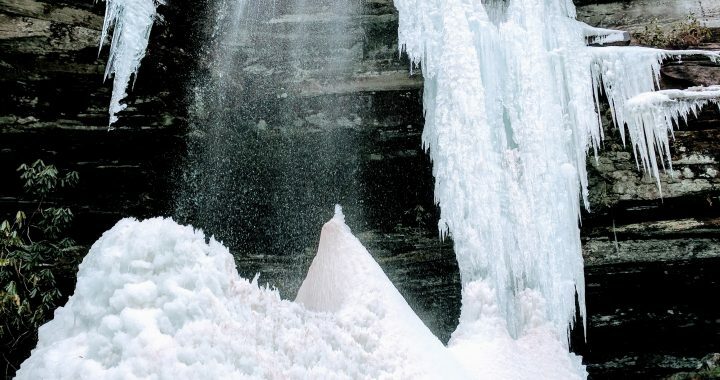 Massive columns of ice and a huge ice volcano just took our breath away. 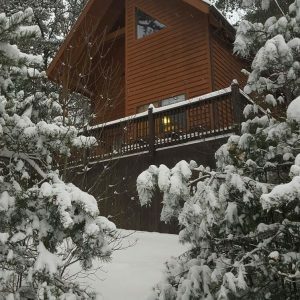 If you’re looking for cabin rentals in the Land of Waterfalls, check out Blue Ridge Parkway Cabin Rentals.